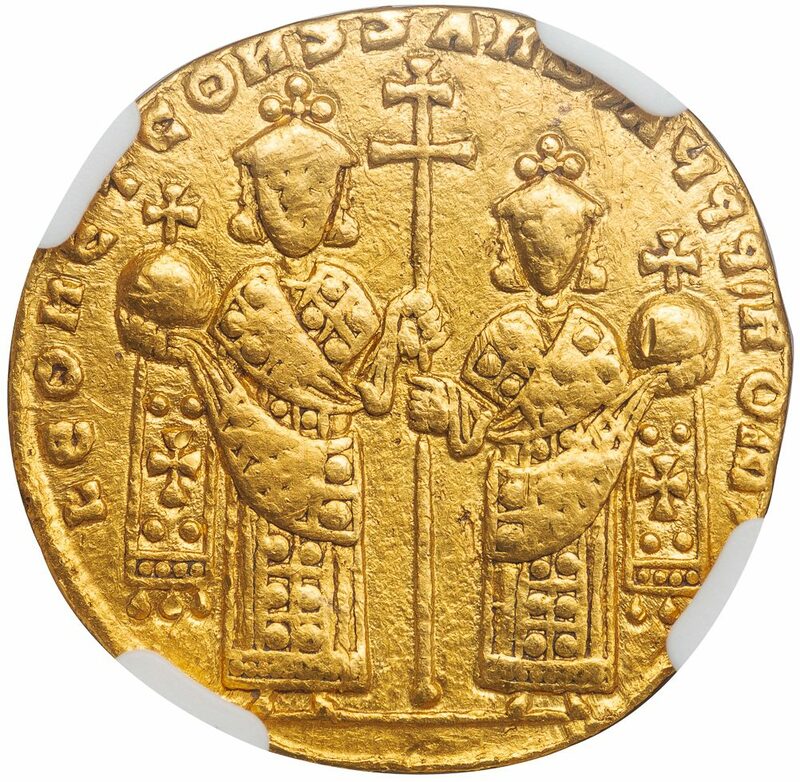 Gold solidus, 4.36 g., 20 mm., struck AD 908-912. Obv. 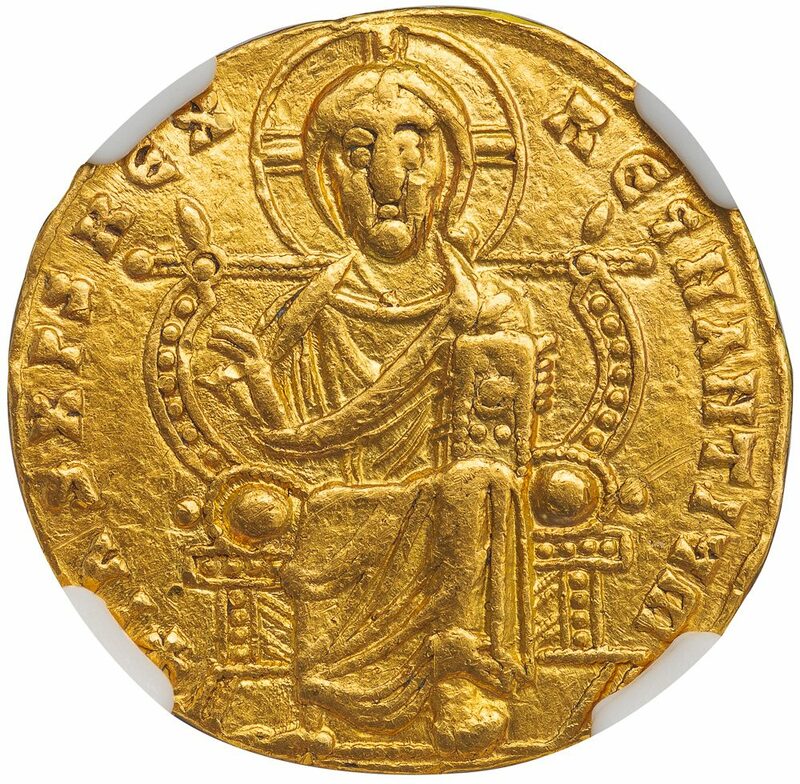 Christ enthroned, facing, holding the Gospels and raising his right hand in benediction. Rev Facing figures of Leo and Constantine, each crowned and holding a globus cruciger and patriarchal cross between them. 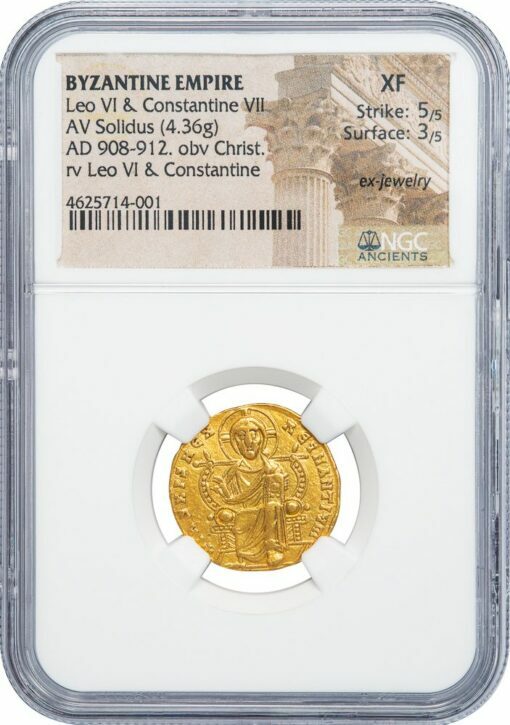 NGC graded XF, Strike 5/5, Surface 3/5, “ex jewelry”, a rare Byzantine coin missing from most collections.